I would think it would be OK, although the water container would need to be kept clean and rain water can soon turn green. 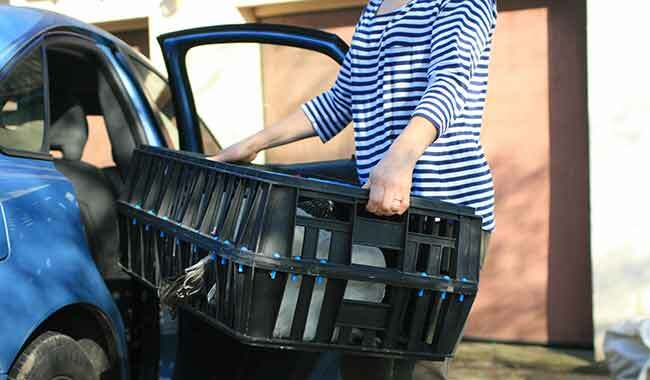 If you’ve only a small roof area, I would think it would hardly be worthwhile if you have to change the water and clean the container every couple of days anyway. 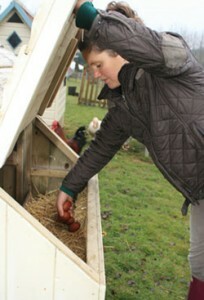 Hi, I have just bought 4 bantams (Wyandottes & Barnevelders), approx. 15weeks, not yet in lay. I got them home last night & had to put them in the house, which I expected for the first night. They took themselves to bed tonight, but are sleeping on the floor not the perches. Is this a problem? If so, what do I do?! Thanks. It’s not a problem – they are probably not used to perching and may eventually get the idea. Alternatively, lift them onto the perch and they should soon learn to go there themselves. OK thanks, I have tried putting them on the perches but they just jump (or fall!) off so guess they’re not ready yet. I won’t worry about it now though! What’s best for bedding at the bottom of the coop? Hay bales no good then? and gradually raised them until a good height,but within my reach to lift the birds if necessary. Likewise,with an elderly hen I gave her a much lower perch just to give her the satisfaction of going to bed properly. 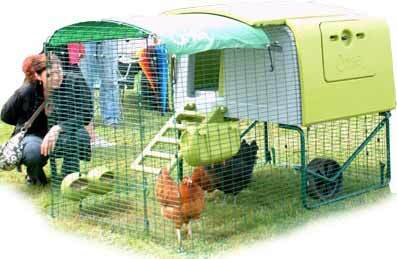 Anyone know of a couple of Dutch bantam pullets for sale please? 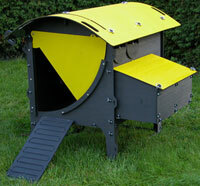 we have just received our chicken coop and it has poultry flooring on the bottom (1″ x1″). I was just wondering if we should cover this with straw to keep them warm – it’s raised off the ground so I was worring about the draft? I think the aubiose that I have bought for bedding might just fall through the gaps in the mesh? What would you advise? I haven’t seen this before – so there is no solid floor underneath that? Could rats get through the bars? Ventilation is important but they mustn’t be in a draft / wind so you would need to decide whether it’s necessary to protect them. Covering the bars wouldn’t work too well because the birds need to be able to step on the bars and not in-between I guess. This is my first time to get this wonderful and interesting tips on poultry keeping and it’s my biggest plan ever to start in the nearest future. Some people told me that, when the chicken is well fed especially the layer, it can lay three-four eggs per day, how far true is this statement? A hen will lay one egg per day for 6 days and rest on the 7th. 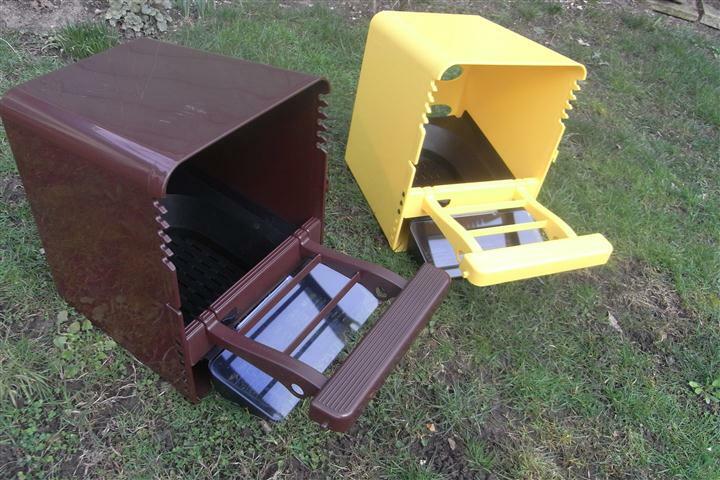 This is only true for hybrid hens that lay really well – and even they will need to stop laying and rest at times. 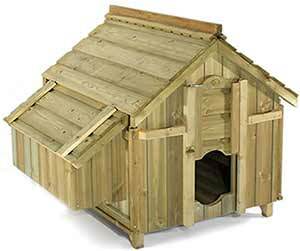 Would just like to say that we are new chicken owners and spent a long time finding the right coop and decided to spend a large amount of money on an Omlet chicken coop after the good reviews. When we received our first one, the plastic had holes in it. When we sent pictures to them they were good enough to sent somebody down to bring a new one and build it for us. I know that I should have looked at it more closely but felt the chap was happy with it. I did mention about a large gap one Side and he said it was ok 🙁 . When my husband came home and we had a closer look the bottom panel slanted one side making the rooting panel wobbly also the back panel where the plastic had been trimmed was really uneven I was very upset and could not believe after convincing my husband that we could be so unlucky. It would not be a problem but I spoke to there customer service people. I spoke to the most stuck up person I have spoken to in my life. Because I purchased it from one of their suppliers, they wished they had not got involved. I was so shocked. Working for a franchise I have never spoken to somebody in this way, even when they are wrong. The options we have are to keep it or return it. Buyers beware. My experience of Omlet has been positive but I know that doesn’t help you. I suppose they are giving you the chance to return it but it would be nice to have it fixed / repaired I guess. If it helps, the name of the owner is James Tuthill – if you aren’t happy with the service or product, I would write a letter, attach it to an email and send it to him personally. Send a copy through the post. Include lots of photos of the problem to give him a fair chance of seeing the problem and rectifying it. 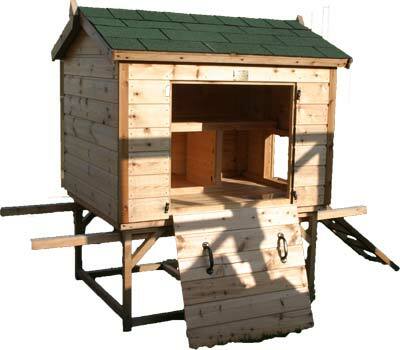 I have been given 3 chickens to look after, i have a coop and space for them, however i am just wondering how often i need to clean the coop, and what are the best products to use. We are living in spain, so i am thinking around once a week, also is there any plants that could be harmful to a chicken? It really depends on how messy the coop is getting. A large coop with a few hens won’t get as messy of course and in summer, the hens are out most of the time but in winter, bedding soon gets wet and mucky while the hens are roosting for longer. 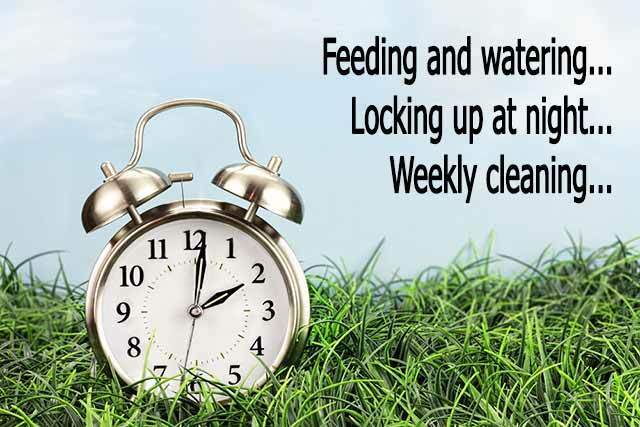 Once per week is about the norm for cleaning chicken houses. 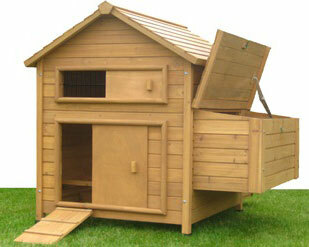 I clean mine every 2 weeks but I have a large coop. In the summer if there are problems with red mite I clean much more regularly. As for plants, yes there are some but I’ve never had a chicken die from eating poisonous plants. Chickens usually know instinctively what is good for them. If you do a search on the poultrykeeper.com website, there is a page on there about poisonous plants. Foresham Coops are no longer made in the UK, Omlet confirmed to me just his week they too are sourced from China. I have an Omlet Eglu the floor consists of bars (over the droppings collection trays) but there are no perches as such. Are these bars sufficient? Should I try and contrive a perch bar higher than these bars? Thank you for running this really helpful site. The chickens should roost on these bars. I don’t think there is room for a perch higher up? 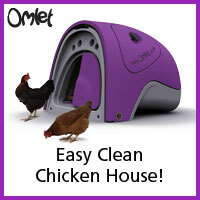 They should be fine, Omlet coops have been around for 10-12 years now and have a good reputation.